At 6:00pm on Thursday, September 17, 2015 at the Canadian Centre for Architecture, architects José António Bandeirinha and Alexandre Alves Costa will discuss the new role of the architect during the SAAL process, sponsored by a new Portuguese state that was defining itself as it defined the architect’s place in it. They will discuss how the traditional mode of architectural production changed during SAAL and under which conditions the SAAL process came to an end. 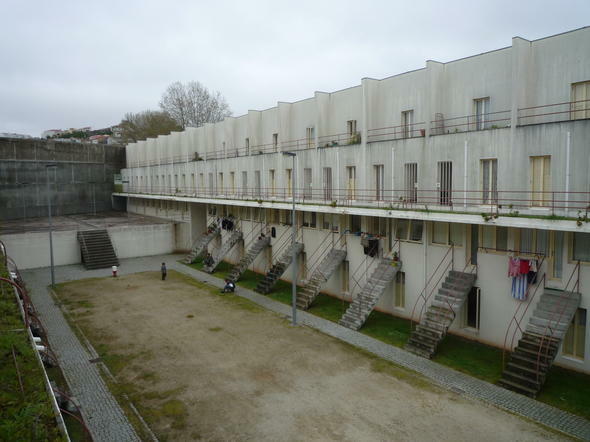 Born out of the Portuguese revolution of 25 April 1974, SAAL—the Serviço Ambulatório de Apoio Local (Local Ambulatory Support Service)—was a pioneering architectural and political experiment designed to address extreme housing shortages and poor living conditions in Portuguese cities. With the support of the new temporary socialist government, SAAL established technical teams, known as brigades, led by architects in collaboration with local communities that aimed to develop housing solutions with the direct input of residents. José António Bandeirinha is an architect and Full Associate Professor at the University of Coimbra, where in 2002 he completed his PhD on the SAAL process. His research interests include the urban and architectural consequences of political procedures, with a specific focus on twentieth-century Portugal. He is Scientific Consultant for the exhibition The SAAL Process, organized by the Serralves Museum of Contemporary Art in collaboration with the Canadian Centre for Architecture. Alexandre Alves Costa is an architect and retired professor at the University of Porto. Following the revolution of 25 April 1974, he was a member of the Coordinating Committee of SAAL North Sector, responsible for planning and project support. His writings have been published in Lotus International, 9H, Domus, Casabella, Jornal Arquitectos and Revista Património Estudos. This lecture is presented in conjunction with the exhibition The SAAL Process: Housing in Portugal 1974–76, currently on view in the CCA main galleries.